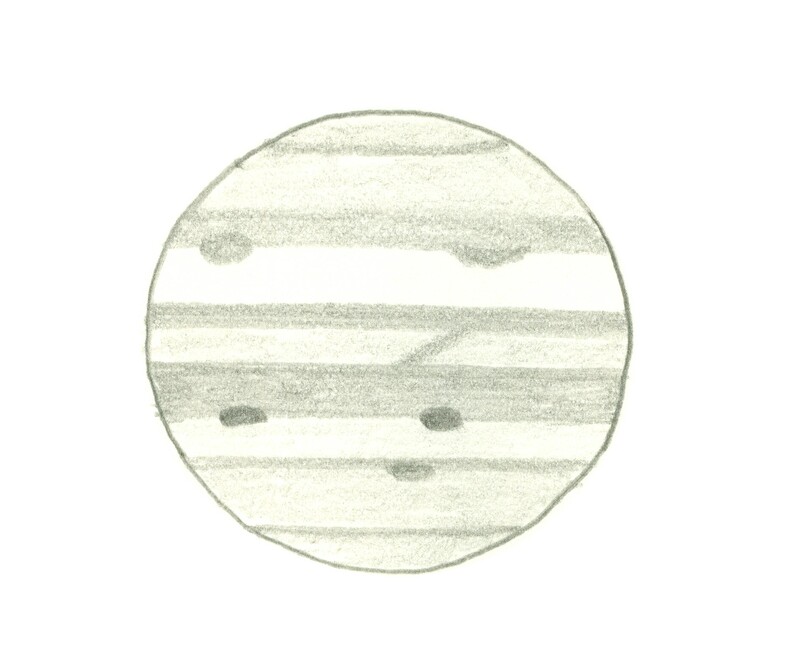 Jupiter on 1960 July 16/17 at 21:44+17 PST (05:44 UT) as sketched by Jim Low. C.M. (1) 354º, C.M. (2) 136º. 4" reflector at 130x, 167x. Seeing 6/10. Transparency 4/5. North is down. Although the seeing was only 6 at Jupiter's altitude, it was 8 high in the sky. Epsilon Lyr (double-double) was very easy, and I est. that the resolving power at that time was about 0.5", although in theory, my telescope should resolve down to 1.2" only.